Decision Theory An Introduction to Dynamic Programming and Sequential Decisions John Bather University of Sussex, UK Mathematical induction, and its use in solving optimization problems, is a topic of great interest with many applications. It enables us to study multistage decision problems by proceeding backwards in time, using a method called dynamic programming. All the techniques needed to solve the various problems are explained, and the author's fluent style will leave the reader with an avid interest in the subject. Aimed primarily at students of mathematics and statistics, the lucid text will also appeal to engineering and science students and those working in the areas of optimization and operations research. 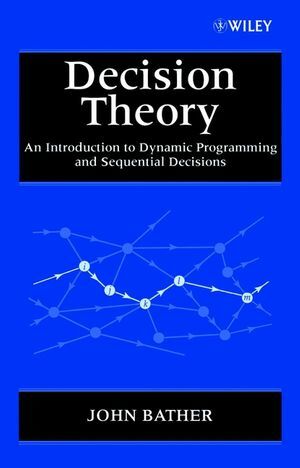 John Bather is the author of Decision Theory: An Introduction to Dynamic Programming and Sequential Decisions, published by Wiley.